JTA – A Quaker group has removed a French and an American company from its financial portfolio due to what it calls the companies’ involvement in Israel’s occupation of Palestinian lands. Friends Fiduciary Corporation will drop the French multinational corporation Veolia Environment and the US-based Hewlett-Packard from its portfolio following requests from Quakers concerned about the companies’ involvement in the Israeli military occupation of Palestinian lands. FFC has investments of more than $250,000 in HP and more than $140,000 in Veolia, according to the We Divest Campaign. The money is part of an overall $200 million in assets and investments for more than 250 Quaker meetings, schools, organizations, trusts and endowments around the US. The Quaker group does not issue public announcements about such moves, but did send a letter confirming the information, according to Anna Baltzer, a spokesperson for the We Divest Campaign. “It’s not private; it’s public information and they’ve written a letter to the Friends Meeting in Ann Arbor, Mich. that raised the issue,” she said. The Ann Arbor group did not return JTA’s call for this article. This decision comes a few months after the FFC dropped shares in Caterpillar Inc. because Caterpillar “would neither confirm nor deny the extent or type of modifications to equipment sold to the Israeli military,” according to the release. The decision, made by the church’s trustees in consultation with Meeting for Sufferings – the national representative body of Quakers – fits into a long Quaker history of pursuing ethical investments. It follows decisions not to invest funds in, among others, the fossil fuel industry, arms companies, Apartheid South Africa, and – going even further back – the transatlantic slave trade. “Our long history of working for a just peace in Palestine and Israel has opened our eyes to the many injustices and violations of international law arising from the military occupation of Palestine by the Israeli government. “With the occupation now in its 51styear, and with no end in near sight, we believe we have a moral duty to state publicly that we will not invest in any company profiting from the occupation. “We know this decision will be hard for some to hear. We hope they will understand that our beliefs compel us to speak out about injustices wherever we see them in the world, and not to shy away from difficult conversations. “As Quakers, we seek to live out our faith through everyday actions, including the choices we make about where to put our money. “We believe strongly in the power of legitimate, nonviolent, democratic tools such as morally responsible investment to realise positive change in the world. We want to make sure our money and energies are instead put into places which support our commitments to peace, equality and justice. “We hope that by announcing our refusal to profit from these companies it will encourage others to think about their own investments, and help challenge the legality and practices of the ongoing military occupation. “While we do not believe we currently hold investments in any company profiting from the occupation, we will now amend our investment policy to ensure this remains the case in future. “This includes companies – whichever country they are based in – involved for example in the illegal exploitation of natural resources in occupied Palestine, and the construction and servicing of the separation barrier and Israeli settlements. In their minute, the trustees said, “We hope this policy might be useful to [Quaker] area meetings interested in adopting a similar approach”. We are writing on behalf of the newly formed Faith in Action Committee of New England Yearly Meeting. This committee was formed “to support the public witness of Quakers in New England, to listen for where Friends from across New England are active, to amplify what is happening locally, to connect Friends with each other, to help form networks among Friends who carry related concerns, to highlight and share the news of Witness among Friends, and to listen for where Spirit is moving us” (committee charge approved at YM Sessions 2018). You may also find it linked on our committee’s webpage, which we hope to use as a connecting page while a new website is developed. If anyone from your meeting/group would like to contact the clerk and members of the committee, you may also use this email address. 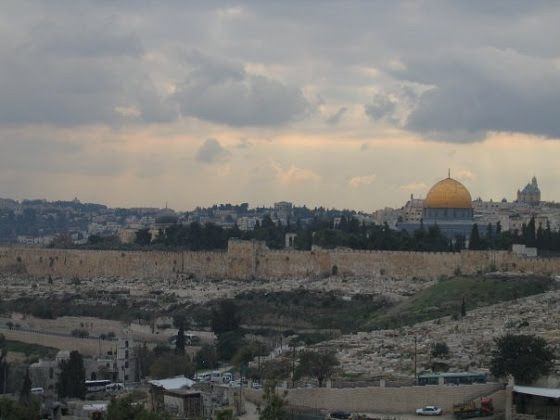 Join the American Friends Service Committee, the Quaker Palestine Israel Network, and Pendle Hill for a weekend of exploring what it will take to realize a just and lasting peace in Palestine and Israel. From Dec.14 to 16, we’re holding a conference titled “What does justice look like? Moving towards a Just Peace in Palestine and Israel.” We invite you to join us for this exciting opportunity to learn more about Israel and Palestine and what you can do to bring change. Find more details and register on the Pendle Hill website. Scholarships are available to offset costs. AFSC and Quakers have engaged in Palestine for over a century and worked for peace with justice since 1948. After decades without change, we want to open up a conversation about what’s needed for a just future. It has been 70 years since the 1948 war, when more than 750,000 Palestinians were forcibly displaced and the State of Israel was born. It has been over 50 years since Israel occupied the West Bank and Gaza, gaining control of all of historic Palestine. And it has been 25 years since Yasser Arafat and Yitzhak Rabin shook hands on the White House lawn at the start of the Oslo Peace Process. But 25 years after the start of what was intended to be a five-year peace process, we must question that framework. Why hasn’t peace yet been achieved? What paradigm shifts are needed to bring change? What are the historic injustices that need to be righted, and what might it look like to address these issues today? What actions can people outside of the conflict take to promote change? Find out what is needed to support change in Israel and Palestine. Gain skills for taking action and building intersectional work toward change. Connect with others interested in building toward a different future. Give and receive support as you continue to work toward change after the conference. Register for the conference today. I hope that you can join us at Pendle Hill. Gaza contains nearly 2 million residents in an area of 141 sq. miles. Israel imposes an economic cordon sanitaire around the region with the result that its economy is nearly destroyed and 80 percent of residents rely on international assistance. 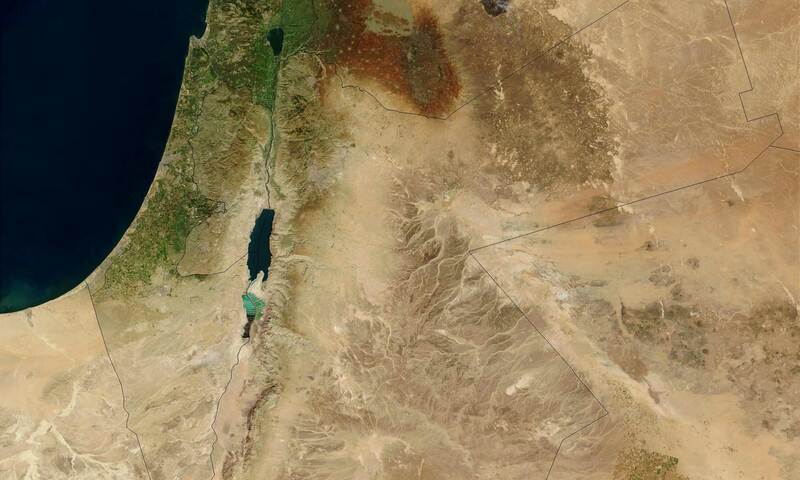 Travel in and out is sharply restricted by Israel and Egypt. As a response to this unarmed, non-violent civilian protest, these premeditated and systematic shootings are a clear violation of international norms which forbid targeting noncombatants and require proportionality in the use of force, even in wartime. Clearly marked members of the press and the Red Crescent have been among the victims. On the day when 58 Gaza residents were shot dead by Israeli snipers, Prime Minister Benjamin Netanyahu was welcoming U.S. Middle East Advisor Jared Kushner, his wife Ivanka Trump, U.S. Treasury Secretary Steven Mnuchin, and four U.S. Senators on the occasion of the symbolic opening of a planned United States Embassy in Jerusalem. The embassy will be on land declared neutral in the 1949 armistice agreement and considered by the United Nations to be in occupied Palestine. Friends are witnesses to these horrific events. Unless we speak out forcefully in protest, we will also be complicit. Removal of people from their land, their confinement in what amounts to a concentration camp, denying them sanitation, adequate health services, and employment, and then systematically killing them when their despair boils over into nonviolent protests all work against the establishment of the Kingdom of God on Earth. Quakers must protest this occupation by demanding that the U.S. government end all military aid to Israel and support international efforts to immediately end the illegal blockade of Gaza. We urge each Monthly Meeting to address this crisis through internal discernment and public activism. The plea of refugees in Gaza to return to their ancestral villages now in Israel is the central focus of the Great March to Return . It began on April 2, 2018, was planned to end on May 15, but currently (August 15, 2018) is ongoing. These dates mark two important historical events, Land Day when 6 Palestinians were killed as they attempted to return to their villages in 1976, and Nakba Day marking the beginning of The Catastrophe, or the Grand Dispossession in 1948. The violence of this effort—as of August 9, 2018, Israeli army snipers have killed 172 mostly unarmed Palestinians, with 17,504 wounded (more than 1000 of them children), many with life-threatening injuries, overwhelming the already stressed medical system—led to this minute. We attempted to bring this minute to New England Yearly Meeting (Quaker) Sessions this summer (2018) but because of our working group’s slip up and a packed business agenda, we failed. However, Burlington Monthly Meeting may bring it to its Quarter, “seasoning” it for next year’s NEYM Sessions. We’re also working on a revision (Minute inspired by Burlington Friends’ minute), not yet official from us. JOURNEYS TO ENGAGEMENT: a panel discussion organized by the NEYM Israel-Palestine Working Group, “Living into NEYM’s Israel/Palestine Minute: Understanding the Interplay of Anti-Semitism, Islamophobia, and Racism.” Our interactive panel—Steve Chase (author of Pendle Hill Pamphlet #445 BDS? A Quaker Zionist Rethinks Palestinian Rights); Salaam Odeh (mother raised in Jordan, with family in Nablus, Occupied Palestinian West Bank), and her daughter, Samah Deek; and Steve and Barbara Low (active members of Jewish Voice for Peace, much traveled to Palestine Israel, founder and directors of the GRALTA Foundation)—will examine how anti-Semitism, Islamophobia, racism, and privilege affect our understanding of Israel/Palestine today. By sharing their insights & experiences the panel will 1) address ways to overcome feeling the fear, which exists among Quakers, about having this conversation; and 2) suggest how Friends can imagine living more boldly into last summer’s NEYM minute on Israel and Palestine. Our Israel­Palestine Working Group of New England Yearly Meeting has been meeting since 2015. Each year during NEYM we have organized and facilitated programs including slideshows and movies about the region, workshops, speakers, a Gaza pinwheel display from American Friends Service Committee, photographic displays, and informal lunch sessions. Most recently we have concentrated on helping write and distribute minutes from monthly and quarterly meetings. We are a small, self-­appointed interest group from different sections of New England. Most of us have visited Palestine and Israel numerous times and have been active on related issues for more than one decade. Our website is neym­ip.org. You will find quite a bit of background information and links on the site. Other religious denominations have devoted substantial time and resources to deepening their understanding of Israel/Palestine, the role of the United States in that dynamic, and in discerning what, if anything, they feel called to contribute to the situation. Many have asked why Quakers are not engaged in these discussions, as our voice as a traditional “peace church” is often looked to for guidance. At Sessions last August we passed a minute that ended a long period of paralysis and began to engage us in these issues. We have begun to talk. We are facing our fears. And the minute did something more ­ though it barely mentions Israel/Palestine, it does spotlight the problem of US arms trade and foreign policy in the region as something perhaps we can focus on. Also, it commits us to growing in understanding of anti­Semitism and Islamophobia. This actually gives us quite a bit of space to work in. We engage in this work with a few assumptions that we want to put on the table. Perhaps the most important is that there is no one Jewish voice or narrative. And there is no one Palestinian voice or narrative. People enter this story from a variety of experiences and histories. A younger generation of Israelis, American Jews and Palestinians and Palestinian diaspora has a different lived experience and they are beginning to shape the dialogue in new ways. We want for people at NEYM to listen deeply to this variety of voices and experiences. The other assumption we should name is that we draw from our own experiences challenging our own government ­ we hold that governments are something different from a people. Many of us are fierce critics of US government policies and practices, but many of us also will say that we do so out of love. And that criticizing our government does not necessarily mean criticizing all people who call themselves US citizens. Israel makes criticizing the government more complex by insisting that it is a Jewish state, but we believe that as with any government, its policies are something that can be discussed without impugning all Jews or such criticism being anti­Semitic. We come to this day asking you to engage in deep listening not political debate. We have five panelists: Steve Chase, who will talk about his journey to overcome the perspectives he had been taught as he listened to new voices and educated himself more; Steve and Barbara Low, both members of Jewish Voice for Peace who likewise have had an evolution in their thinking; and Salaam Odeh and her daughter, Palestinian American activists. What has been your journey in coming to understand Israel/Palestine—both the dream and the reality? What has been your journey in coming to understand the intersections of anti­Semitism, Islamophobia, and racism? How do you differentiate between anti­Semitism and anti­Zionism? What have you had to do to find your voice within your core community? What do people who are most directly impacted by these issues want or need from us as allies? In that moment of empathy, there is nothing to forgive, just understanding. We are all born into sides, into different narratives, into communities with their own stories but when we hear each other’s stories then we are connected through our shared humanity. Let us listen deeply, with empathy for the hearts holding other stories, other sides, that we may grow in understanding and wisdom, and find our own voices, individually and collectively, for a just peace. Talk about the future – what will this Middle East area look like in ten years? Paint the future, please! What use is NEYM making of AFSC’s programs and initiatives with regard to Israel-Palestine? What is the benefit of looking at how racism affects both Jewish people and Palestinians in Israel? Especially with regard to Ethiopian Jews and other Jews of color? (police brutality, sterilization, socioeconomic marginalization) Does invoking this intersectionality help complicate the suggestion that criticizing the Netanyahu administration/neoliberalism/settler colonialism in Israel is inherently antisemitic? The word “Holocaust” I was cautioned should not be used after I came home from AFSC-sponsored study tour to Guatemala/Central America in 1985. I was struck that I had spent days walking in an occupied land in front of Uzi guns and Reagan was visiting the Bitburg Cemetery – so many connections. I was surprised and appalled when I saw photos of the “settlements” – in my mind, I was imagining a refugee camp w/ tents vs high-rise apartments – these visuals I think would help raise the questions we need to be asking to gain understanding. What are the most reliable news sources on Israel-Palestine? al Jazeera? Other? Where is the prophetic voice today? What Jewish prophets are talking to Palestinians? What Palestinian prophets are talking (kvetching) with Jews? How much do the victim stories of the Jews who survived Nazism (and who now live in Israel) impact Israel’s policies? What do you think will happen with the confrontations at the Gaza border? I’d like to know the experience of typical middle-aged Palestinian Arabs. Have their families lost their homes, their lands? How do they feel about occupation by Israelis and about checkpoints? Part of NEYM’s 2017 minute on the Israeli/Palestinian conflict (#2017-46), states that we “call upon all individuals and communities to examine how anti-Semitism, Islamophobia, racism, and privilege affect our understanding of the conflict.” In this interactive workshop we will explore our stories and perhaps find more understanding about where and how we participate in the personal and systemic evil of antisemitism. We will look at how antisemitism has operated in our Quaker heritage and especially how it affects us today as we struggle to address our nation’s complicity in the continued suffering. Jonathan Vogel-Borne and Allan Kohrman have been engaged in conversation on the topic of Israel-Palestine, Quakers and Jews, for almost 30 years. While not fully agreeing with all of Allan’s position—but because he felt Allan’s voice needed to be heard—Jonathan helped to edited Allan’s pamphlet, “Quakers and Jews” (2004). WHEN: April 14, Saturday; the panel is from 10:45 to 11:45 with the option of informal conversations during lunch, and attendance at a related afternoon workshop. “LIVING FAITH”—WHAT’S THIS ALL ABOUT? Living Faith is a day-long gathering of Friends from throughout New England. The event is a chance for Friends to worship together, get to know each other, share the different ways we experience and live our faith, and build community. Sa’ed Atshan at Ramallah Meeting in Palestine. Photo courtesy of Sa’ed Atshan. In February 2017 Friends Central High School in Philadelphia had fired two teacher-advisors to a student group which had invited a Palestinian Quaker, Sa’ed Atshan, to discuss the situation in Palestine-Israel. In this interview, after a long discernment, Sa’ed speaks about what happened and how he approaches what some feel is censorship by a quaker school.